As is fairly typical, the implementation phase of the project brought a combination of success and a few unexpected hitches that we overcame along the way! It seems appropriate that I am writing this final report from our completed training center in Rigoma Market. The ACI staff are working away in the offices, training room and lab, and there is an artist painting some informational illustrations on the exterior wall of the training center. It has been a busy year. Here are some of the highlights. The first status/progress report reflects one of the early challenges that we faced when the farmers' cooperative reneged on their agreement to donate the training hall and small plot. 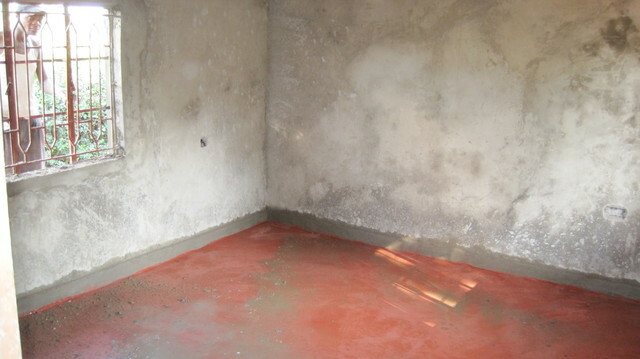 Fortunately this turned out to be a blessing in disguise as, when the local District Officer heard about our need for a new training and demonstration location, he offered us a more centrally located space adjacent to the market in Rigoma. There were many advantages to this new location - it is part of the District Officer's local headquarters so there are a lot of people passing by each day as they come to renew their identity cards, attend public meetings or go to the market. Another advantage was that the local police officers are close by so they are able to keep a close eye on the training center during the night. The best part about this new location was that it was directly donated to Aqua Clara by the District Officer, the local chiefs and the local community - it is public property and represents an important affirmation of Aqua Clara's work. People who stop by the office want to see how their space has been used. This local ownership has been one of the things that we are most proud of in this project. The new location wasn't in quite as good shape as the original building (i.e. there wasn't a roof or a floor in some of the offices), so we had to review our initial budget for renovation. We worked hard to get the most competitive quotations for the renovation project and soon local fundis (workmen) were hard at work. Switching on the lights for the first time was a great moment that brought a round of applause from everyone gathered. The pace of the project really picked up in December or 2010 when Professor Ted Loudon of Michigan State University arrived in Kenya. Prof Loudon is an expert on sanitation and has extensive experience of implementing sanitation projects around the world. 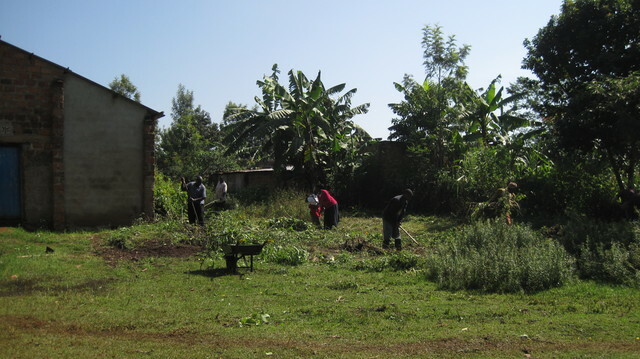 We recruited the Community Development Entrepreneurs (CDEs) and Community Health Promoters (CHPs) who lived nearby and our team worked hard to clear the demonstration plot adjacent to the training hall. It was incredible to see how fast everyone worked - the women in particular wielded their jembes (hoes) very effectively. During one of these days, the local district agricultural officer (Romana Mbinya) stopped by to see what was happening and was so enthusiastic about the project that she worked with us for a week. This was an unanticipated bonus to the project as Romana has since become one of our closest government partners. Romana was particularly excited about the ecological sanitation latrines that we have constructed on the demonstration plot as she had attended workshops about this type of latrine, but did not have the financial resources to demonstrate them at the community level. 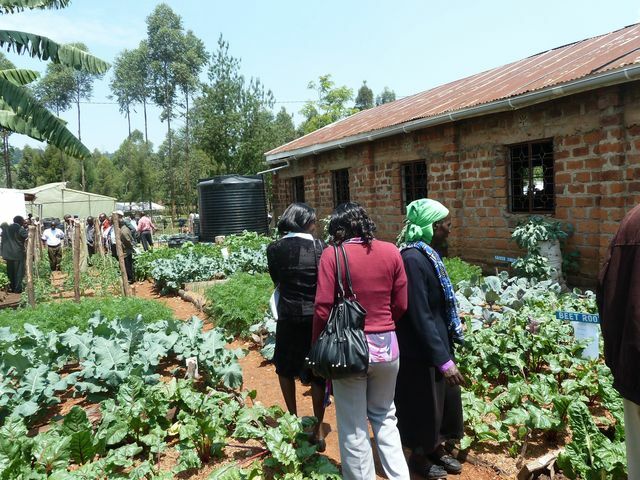 Romana has been using the demonstration plot with latrines to train local farmers in the area. This is a great example of how this project is working in support of local government efforts. The decision to put example vegetable plots next to the latrines has worked out very well. With Romana's advice, we planted a variety of vegetables that are common in the local area. The idea was that we would plant two beds of maize, two beds of beans, two beds of sukuma wiki (a local green) etc side by side, and then fertilize one of each of the vegetable beds with the urea from the urine diversion dry composting latrine. This has proven to be a very effective visual way of demonstrating the value of recycling human waste for use in the shamba (farm). During the construction of the arbor loo, we quickly realized that the location of the demonstration site was unsuitable for this type of latrine. The water table was at about 1 meter below ground and the latrine pit filled with water very quickly. We continued to construct the portable superstructure and the moveable slab as we still want to be able to show an example of this type of latrine at the training center, although it cannot be used. When we give tours of the demonstration area, our staff are able to use this latrine to train on the importance of selecting the appropriate type of latrine for the specific location. The concept of the arbor loo is popular however, and one the the Community Health Promoters spoke about how she always plants a banana tree in her full latrine pits - she is definitely going to be one of our key advocates for eco-san latrines! 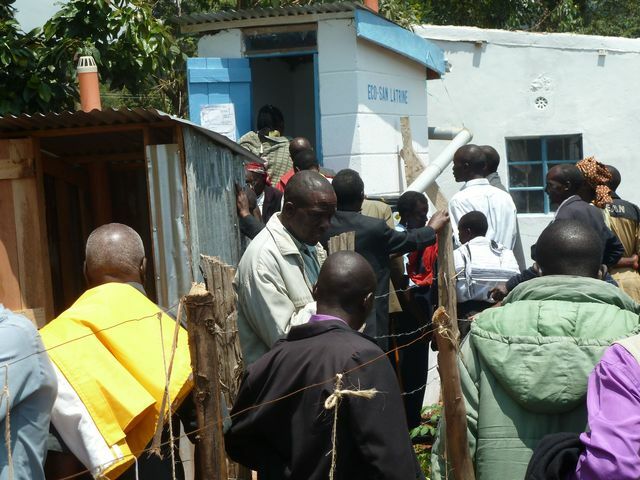 Seeing the latrines is a great catalyst for discussion and debate. The CHP who planted a banana tree in her full latrine pits now knows of a simple way to build a moveable slab and superstructure as opposed to spending scarce resources on these items each time a latrine pit filled. While the arbor loo is not appropriate for this particular site, it will be appropriate for some of the ACI partner schools where the water table is deeper. The next stage of the project was the training of the new Community Development Entrepreneurs(CDEs). [In the proposal, we referred to these people as Community Development Officers. However, it was decided that this created confusion in the local community as the word 'officer' carries the connotation that that person was being paid by ACI as opposed to the reality that they were creating their own income from their independent ACI business.] The selection procedure for the new group of CDEs worked as follows. The school administration, local chiefs and parents association nominated 3 local community members to go forward for interview by ACI staff. The ACI staff then interview the candidates and select the best person to go forward for training. The Community Health Promoters were also selected in the same way. This year, ACI launched the program in the Eldoret area with Purdue and Moi Universities. 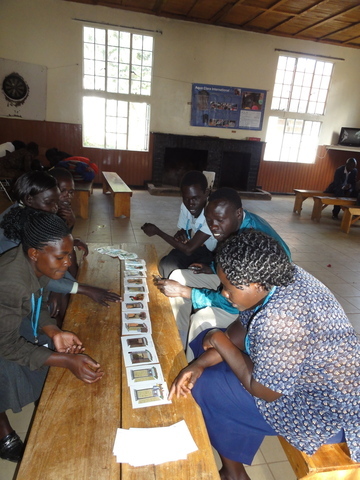 It made sense to combine the training sessions for the two program areas so in April, we held a week long residential training just outside Eldoret. The decision was made to combine the CHP, CDE and School Rep training sessions so that each group would be more knowledgeable about the work of the other. It also helped to foster a team spirit which has been a good source of support for the participants as they returned to their communities. In the original application, we proposed training 10 new Community Development Entrepreneurs. There have been many applications from local schools who wish to be part of the ACI program, but we wanted to consolidate some of our base schools before we moved forward with a larger expansion. Therefore we trained 5 new CDEs, and reselected new CDEs for 4 of our schools where the original CDEs had proven to be ineffective. The training, tooling and launch costs are the same as was stated in the original proposal. The training workshop went very well and the ACI staff used a variety of interactive educational training tools developed by CAWST to train on key WASH issues. The participatory learning environment helped the participants to discuss important and sensitive issues. At the end of the week, one CDE commented that he would remember this training for the rest of his life and was excited to take what he had learned back to his community. Program launches in our rural partner schools have become important fixtures on the ACI calendar. A launch follows a training workshop and is designed to give the CDE's a boost as they start their business in their local community. The launches are led by local ACI staff, the CDE and CHP for the area and the partner school. The local community are invited to the launch and work together to construct the school's first biosand water filter. This is an important public validation of the CDE's business as well as an opportunity for local community members to ask questions and learn more about how the ACI program works. ACI staff lead the community members in an interactive game called 'the human biosand filter.' Basically, this involves all of the participants acting out the various removal mechanisms that take place inside the filter to better understand how the filter works. There is always a lot of laughter and jostling to be the strongest predator microbe in the biolayer! Sales began at the launch days and the CDEs immediately started work at the beginning of June. Sales of filters have been strong with 300 filters sold by the 9 trained CDEs to date. Obviously this only represents 5 months of work, so they are on track to reach the target that we anticipated in the original proposal. ACI also found a new supplier for safe water storage containers which has proven to be very popular. [The specific container is also commonly known as the "Oxfam bucket."] The safe water storage containers are attractive, durable and most importantly are a safe way to store and distribute clean drinking water. The trained CHPs have been visiting the filters 30 days after they have been installed and have been actively training on WASH improvements at the household level. During the year, ACI school clubs were also established at the partner schools and these have proven to be a very effective way of training school children on water and hygiene as well as ensuring that the ACI products at the school are in good condition. The original proposal contained provision for a turbidimeter. However, Purdue University donated a turbidimeter to ACI in Kenya in August of this year, so it was unnecessary to purchase another one. The money saved went towards the higher cost of renovating the training center. The training center is in full daily use and has transformed the work of ACI in Kenya. We have space to properly demonstrate and train on the ACI initiatives, a field laboratory to conduct ongoing water tests, and an office that tracks and administers the program in the area. People drop into the office on a regular basis for a glass of water and learn more about ecological sanitation, hygiene, drip irrigation and rainwater harvesting practices. Informative signs on the walls help educate and reinforce knowledge on the multi-barrier approach to safe water and hand washing etc. The ACI team were delighted to welcome Katie Spotz to Kenya at the end of 2011. Katie funded this project through her Row for Water and it was great to be able to show her the results of her efforts. The CDEs and CHPs were amazed to hear about her achievements and commitment to getting clean water to those in need. Thanks Katie! After completing my "Row for Water", my solo row across the Atlantic Ocean in support of Blue Planet Network water projects, I had an interest in visiting the water projects funded. Visiting the projects in Kenya was the first time I had witnessed water quality issues in such an intimate way. I was able to not only visit the projects, but actively participate in a training for the Community Health Promoters and Community Development Entrepreneurs. Their model is about much more than giving water. Their giving communities the opportunity to create business leaders and opportunities on their own. Giving them the tools and resources to engage and make a difference. It's much bigger than the water they receive, but the confidence gained to initiate change. One of the most moving parts of the visitation was during the last day of the training. All the participants recieved certificates for successfully completing the course. As congratulations were shared, one woman that had trained to become a Community Development Entrepreneur walked up to the Aqua Clara staff and said "Thank you. You made me someone". They truly empower the communities they work with and have found that balance between reaching out to help, while also enable the community to be actively involved with the outcome. 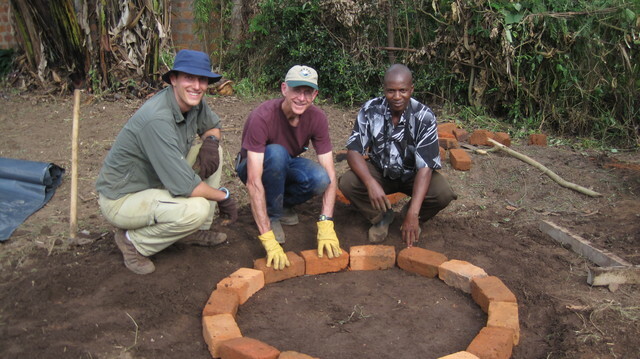 In January of 2011 renovations on the ACI Hope center were completed and a demonstration plot set-up to showcase an Ecological Sanitation Latrine, Rainwater harvesting and high-yield gardening. The site for the Hope Center was donated by the local community in Rigoma Division, Kenya through the Divisional Officer at the time Mr. Charles Kitumwa. Since then the center has continued to be a resource for the local community where they get free training on WASH and Agriculture. Visitors to the adjacent government offices, an estimated 30 visitors every day, also get to drink safe water from the Biosand filter in the ACI office as well as using the Ecological Sanitation Latrine. 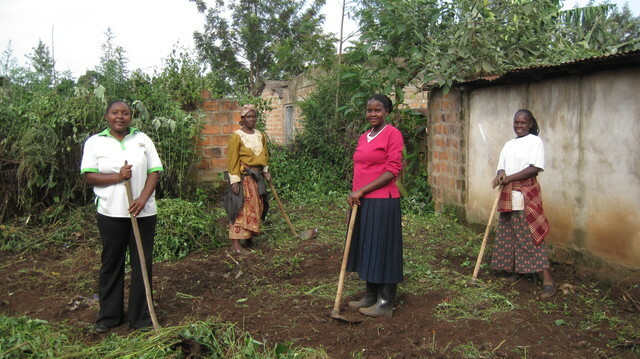 Some of the locals have also been employed at the centre doing tasks such as gardening and sand sieving. One such beneficiary is Aska Mumbe, a 42 year old single mother who has been working in the ACI demonstration garden for over a year now. “I didn’t have a steady source of income before I started working here. Now with the money I am getting from working in the garden I am able to feed my family and take my son through school.” Aska also says that she has learnt different techniques of farming, some of which she is already applying in her own garden at home. Since its completion the centre has hosted over 3,000 people, most of whom attended our initial Field Day in August 2011- an event which showcased the biosand filters, greenhouse, eco-san latrine and other technologies promoted by ACI. All guests to the center receive free training and are able to purchase WASH products such as safe water storage containers, hand-washing stations and make orders for biosand filters. Using the grant, 10 Community Development Entrepreneurs (CDEs) and 10 Community Health Promoters (CHPs) were trained in April, 2011. These CDEs have been running their own independent businesses from 10 ACI partner schools using the skills, tools and materials supplied by ACI. As a result, a total of 300 filters have been installed in the local communities around these 10 schools. These filters have been mostly installed in people’s homes reaching an average of 6 people per household. The rest have been placed in local schools, churches and hotels. An approximate 1800 people have been provided with safe drinking water in their households. In each of the ten schools, ACI through the CDEs has installed a minimum of 2 biosand filters, with 8 Safe water storage containers and 6 hand-washing stations. The schools have an average population of 500 students and teachers, meaning a total of 5,000 people have been directly supplied with safe drinking water and hand-washing facilities. One such school is Mobamba Primary School in Kisii. The head teacher John Nyakenanda says that the ACI programme has had a marked improvement in the health of the students. Additionally, ACI formed a water and hygiene club where students voluntarily join and get training from the ACI Community Health Promoter (CHP)on different methods of water treatment, key times to wash hands and how to wash hands as well as other issues in the area of WASH. Each club has a maximum of 30 students and so far each school has gone through two cycles training 30 students each cycle. A total of 600 students have been trained in such clubs in the 10 schools since last year. Mr. Nyakenanda says that the clubs have been a major success in his school. In October 2011, ACI held a Water and Hygiene Club fun day at one of the 10 schools (Keginga Primary). Water and Hygiene Club members from the other neighboring ACI-partner schools as well as their teachers, parents, CHPs and CDEs attended the event. The students shared with the parents what they had learnt in the clubs, competed against each other to answer WASH-related questions, played games such as tug-of-war, three-legged race and sack race. At the end of the event winners were given small awards such as water bottles, soap and note books. It was a truly fun event where all attendees learnt something new while having fun. Due to the success of the initial ACI Field day where over 1,000 people from the local community visited our training centre and got hands-on training about water, hygiene, sanitation and agriculture, ACI will again this year be holding a similar event in August with over 3,000 people expected to attend. The ACI training centre and demonstration plot continue to be a source of inspiration and enlightenment to the local community as indicated by the local area chief, Richard Masese. 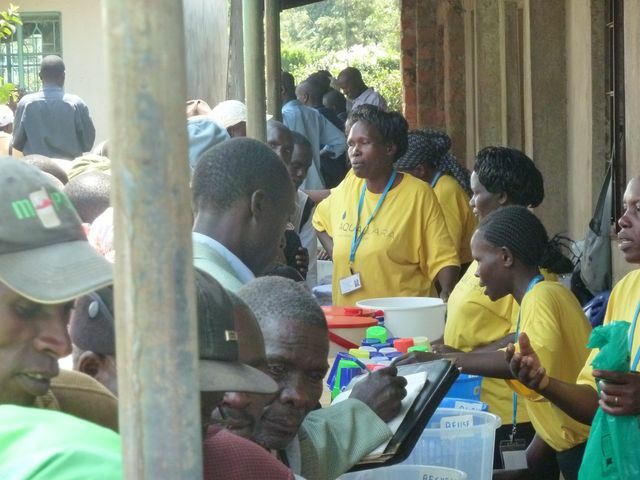 On 12th August, we held a very successful field day at our new training centre in Kisii. 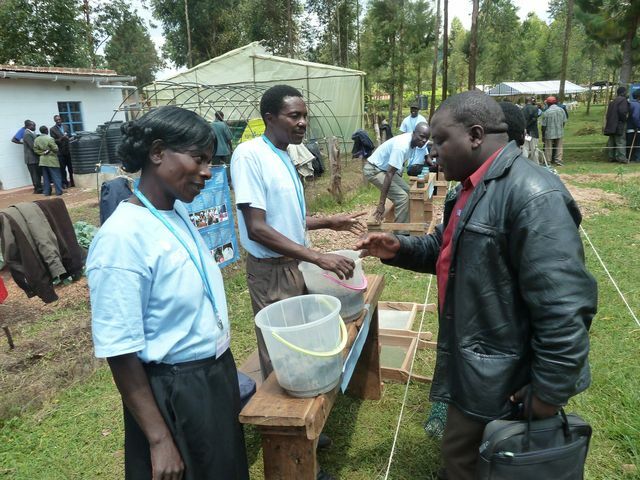 The day was organized to showcase the various technologies promoted by ACI including the bio sand water filter, the urine diversion latrine, greenhouse, drip irrigation and high yield gardens. Guests started trickling in as early as 8:00 am and by the close of the event we had over 1,000 attendees. With the help of our Community Health Promoters and Community Development Entrepreneurs, we were able to train attendees on how the bio sand water filter works, the importance of proper hygiene and sanitation and how to maximize crop yield on a small piece of land. We also invited exhibitors from other organizations to supplement our exhibition and these included financial institutions, CBOs, agro-based enterprises and government ministries. All who attended said they were happy to have learned many new things which they promised to introduce back at their homes. It was also a good opportunity for our entrepreneurs to make sales for their various products and over 100 filters were pre-sold together with safe water storage containers. This was indeed a good opportunity for ACI to make use of its training centre and those who missed the event but heard of it through their friends have been visiting us to see for themselves our various products and learn how they work. The rainwater tanks are full, the office is busy and local university students are currently conducting tests on the water filters in the laboratory. The high yield gardens have gone through their first harvest cycle and our urine diversion dry composting latrine is getting plenty of visitors! The greenhouse is also nearly complete and the whole area looks great. 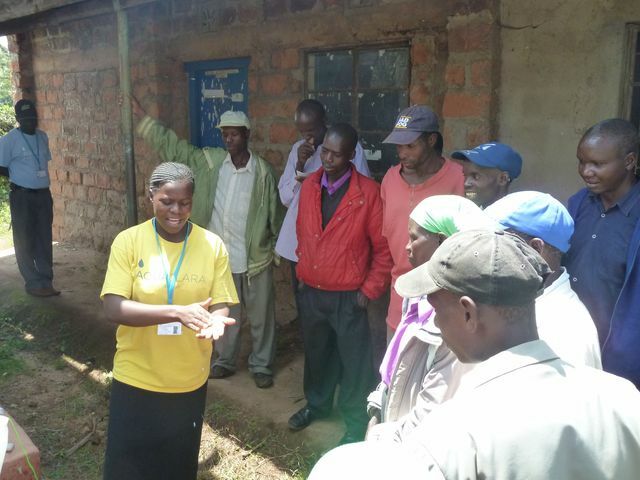 The ACI Hope Center in Rigoma Market has been in active use since late December - this training, tracking and testing space has transformed how ACI is working in Kenya. One of the most significant updates of the past few months has been the training and launch of the new ACI social businesses*. We held a 5-day residential training for the newly selected Community Development Entrepreneurs (CDEs) and Community Health Promoters (CHPs) from both the Kisii and Eldoret regions in March. The training session was interactive and the participants became increasingly confident in their new roles as the week progressed. The training covered (among other topics) filter construction; training the end user; safe water storage; good hygiene and safe water storage practices; social marketing; alternative water treatment methods; disease transmission; and business and program tracking etc. Role-play, games, group discussion and practical sessions helped the participants to learn and also have fun. One of the participants remarked in their evaluation form that they were very pleased to have a way to help their community as well as earn some extra income for their family. The next step was to organize the delivery of the tools and materials for the first set of filters to each of the new business locations. Then, the schools, CDEs and CHPs began inviting local community members and leaders to an ACI program launch. These launch days are an important step in the process as they serve as the official introduction and endorsement of the new CDE and CHP to the community, while also providing the opportunity to demonstrate the construction and use of the water filter and safe water storage containers. The CDEs start taking orders for the filters and safe water storage containers at the end of the launch day. Another new program development has been the launch of new ACI Water and Hygiene Clubs at each of our partner schools. The students involved in this club will learn about a variety of water treatment methods, safe water storage practices and also related hygiene improvements. The local ACI Community Health Promoter visits the clubs on alternate weeks twice per month to deliver a lesson that has been put together by the ACI team. Like all of our trainings, there is a strong emphasis on practical skills and learning that will help improve household and school health. The students in the Water and Hygiene Club (under the supervision of the ACI School Rep) are also responsible for ensuring that the school water filters, safe water storage containers and hand washing stations are all properly used and maintained. The newly trained CDEs have attended their first monthly meeting at our Hope Center and handed in the receipts from their first round of filter sales. The CHPs are now visiting the filters to ensure proper construction, assess knowledge of proper use and to train on related hygiene practices. Another exciting development is that in partnership with the local department of agriculture, ACI is hosting a field day in August. The local agricultural officer has been a strong supporter of the ACI project to date and is particularly interested in showcasing the eco san latrines as a way of generating effective compost for local farmers. The field day is going to be a great way to say thank you to the local community and District Officer for the donation of the space for our training center as well as provide an excellent opportunity to share more information about good water, sanitation and hygiene practice. Check out the photos for some recent pictures of the training center as well as pictures from the training and program launches! *Here is a quick recap of the ACI entrepreneur program. The entrepreneurs are known as Community Development Entrepreneurs (CDEs)* and their small businesses are based at rural schools. Interested local schools submit application forms to the ACI office throughout the year. When funding is in place for the training, launch and oversight of new businesses, ACI staff selects the schools for the next training round based on a number of criteria e.g. location of the school; proximity to other ACI entrepreneurs; water availability; and secure storage for ACI materials. The school administration in partnership with the local chiefs and parents’ association select and nominate 3 local people to go forward for interview. ACI staff interview the nominees and select the best candidate to go forward for CDE training. This selection method allows ACI and the local community to make a decision together. A similar procedure is also followed for the selection of the female Community Health Promoters (CHPs) who, among other things, oversee the work of the CDEs. The school also selects an ACI School Rep who is the main liaison person between the school and ACI, and also attends some of the ACI trainings. November and early December were months of huge transformation for the new Aqua Clara H20pe center. The center now has a new roof, windows, doors and floors which are all great improvements! Each day, local people were stopping by to see the progress and learn more about the project - as we hoped, the central location for the training center has already been great for spreading the word about good WASH practice to the wider community. One man spoke about the pride that he and his community felt that they had been able to donate the space for a training center to Aqua Clara and how this contribution has already made them feel part of the project. Another person mentioned that the local people were pleased that their district office now looked more attractive to visitors and said, "this will raise the profile of our district." Dr Ted Loudon (Professor Emeritus of Michigan State University) joined us for a busy week in early December to help launch our sanitation program. Ted worked to train some of the most successful local filter entrepreneurs on the construction and use of our first eco-san latrine and also did a practical demonstration of an arbor toilet. It was interesting to see the local reactions to the fact that human waste could be used as a very effective fertilizer! There are understandably some sceptics, but many more people who were very keen to learn more. Next to the new latrines, we have established 20 example vegetable plots which will be planted with a variety of local vegetables - e.g. two plots of maize will be planted side by side with one fertilized with urea and one without. This will be an important demonstration site which local people will be able to see clearly the difference that the eco-san latrine can make to their farm yields. The local government agricultural officer (Romana Mbinya) has been very cooperative and enthusiastic about the project and is going to use it as a training center for other youth groups and womens groups in the area as well as the entrepreneurs working in the ACI network. The rain water harvesting systems have also been established at the training center. These are designed to be demonstrations to the wider community and training examples for the Aqua Clara Community Development Officers while also providing water for irrigation of the small farm plots. There is a 10,000 liter tank collecting rain water from roof of the training hall, and there are 3 smaller connected tanks that will collect water from the smaller storage room on the compound. ACI has been able to work directly with the manufacturers to establish a much lower, delivered price for rainwater tanks to the rural communities. E.g. a 500 liter tank in the local market town of Keroka is sold at 5,500 KSH and people usually have to pay another 500-1,000KSH for transport to their homes. The ACI delivered price for the same tank will be just over 3,000KSH. Throughout this whole project, we are intentionally working alongside our local Community Development Officers (CDOs or filter entrepreneurs) and Community Health Workers (CHWs) to ensure that they are as learning practical skills along the way. They will be the ambassadors and/or trainers in the newly expanded range of WASH products that ACI will offer going forward so we considered it vital that they learned as much about the products at each stage of the construction process. Monday, 13th of December was the official move in day to the new offices! The paint on the walls was still wet as we were carrying in our desks and water testing equipment (in some ways, it did feel like the final frantic scenes from a TV home makeover show!) but it all came together in the end. The rooms were immediately in use as our Kenyan masters student completed a few more water tests and our office staff fired up the computer to make sure the tracking documents were up to date. The Aqua Clara Community Development Officers and Community Health Workers will be having their monthly meeting in the new facility in early January and meanwhile, the work continues! The work begins...after a slight hitch! We arrived in Kisii on October 17th eager and ready to get the renovation work started on the new Aqua Clara training center. On arrival, our regional coordinator informed us that unfortunately the chairman of the local farmers cooperative (who had originally agreed to donate the training building to Aqua Clara) had refused to sign the lease agreement, and was insisting that if we were to move forward that there would be high rent with short lease renewal periods. Not a good start! However, good news followed soon. The local District Officer heard of our difficulty and offered 3 offices, a training hall and an adjoining plot of in his local administrative center in the same village. As it turns out, this is actually going to be a much better location for the training center. It is more centrally located in Rigoma village which will help publicize the program, it has round the clock security from the local police officers in the area, and it will be a great place to network and collaborate with local government agricultural and water extension officers. There is a steady stream of people that go to the District Officer's center for a variety of reasons, so many people will be able to see the rainwater harvesting system, the eco-san latrines, the water filters etc when they are all in place. It is a great place to connect with the local communities. The offices in question are in a similar state of repair as the original training center, so we should be on track to renovate under the proposed budget. As you can see from the photos, we need to build a roof, plaster the walls, cement the floors and get new doors and windows installed. Step one was getting the building connected to electricity. It was great to see the local fundis (workmen) chipping away at the building and there was a mini celebration when the lights were switched on for the first time! We're currently getting quotations for the main work on the building, but work should be underway within the next week. Check back for more updates soon! The program is designed to be locally driven and sustainable in the long term. As the office space was donated to ACI, the ongoing costs are only about $15/month in electricity. The main cost in launching a new CDE comes in the initial stages of training, tooling and supplying them with the raw materials for filter construction. As they sell the filters, the material cost is repaid into a resupply bank account meaning that there is sufficient money ready for the next order of raw materials. ACI has recently signed an agreement for carbon credit financing as a way of offsetting our oversight costs. The learnings from this project are reflected in detail in the narrative section. Here are some of the highlights. We learned that it was very important to have our training center in a public location where a lot of people pass by on a regular basis. In Kenya, construction projects always take longer than one wishes! Ecological sanitation projects seem to be acceptable to local people who visit the training center. The arbor loo is not suitable for our training center as the water table is too high. The partnership with the District Agricultural Officer has been very beneficial to the project and has meant that local farmers can see a demonstration of sustainable agricultural practices in their community. The 5 day training that brought together CDEs, CHPs and school reps created a participatory learning environment that meant that we were able to discuss and train on important WASH improvements. Program launches in partner schools help to validate and endorse the work of the CDE and CHP in their local community. Safe water storage containers are a popular item with people that are purchasing filters. CHP visits continue to be a vital part of our follow up and oversight program. This is calculated on an average family size of 5.8 multiplied by the number of filters installed in households - 282. This number is going to continue to increase as more water filters are sold. The CDEs were trained about mid way through the project in April 2011. Overall, 4,617 people have got access to safe drinking water through ACI in 2011 and this number continues to grow. 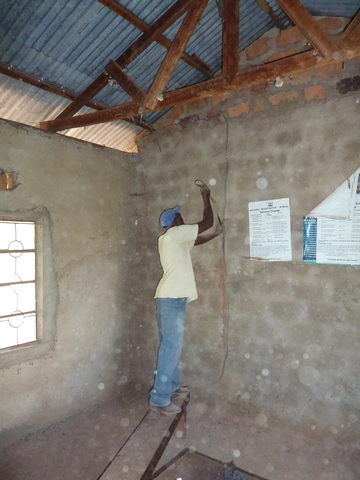 ACI installs filters at schools, and also run water and hygiene clubs at our partner schools. Our school size varies widely, but averages around 500 students. 20 people approximately. 8 ACI staff, visitors to the training center, the local police officers and government officials and people who attend meetings. 9 Community Development Entrepreneurs, 10 Community Health Promoters plus 2 ACI staff who were all trained through this grant.